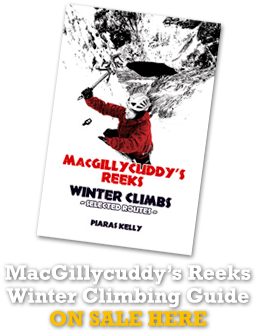 Kerry Climbing>> are delighted to yet again feature in another brilliant outdoors publication – this time the September issue of the massively popular TGO Magazine>> as part of another excellent Reeks District>> promotional piece. The Great Outdoors magazine was created by hillwalkers for hillwalkers, providing ideas, inspiration and the best gear reviews in the industry for almost 40 years. 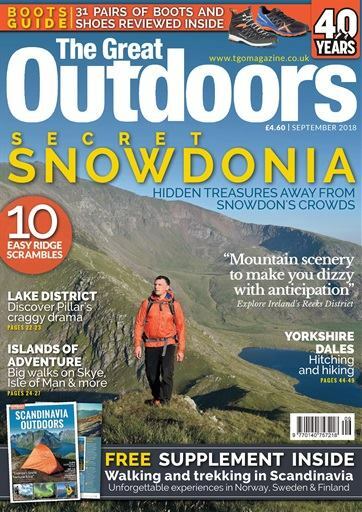 Published monthly, Britain’s original outdoor magazine has always featured some stunning photography, excellent writing and brilliant walking and backpacking routes, along with authoritative gear reviews from the U.Ks most experienced team of testers and essential skills advice from highly qualified outdoor instructors. 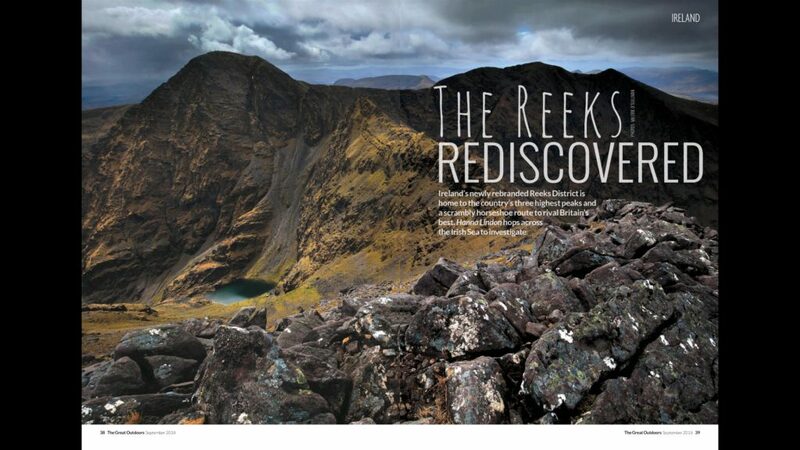 The featured article – “Reeks Rediscovered” contains some wonderful images from the brilliant Valerie O’Sullivan who joined KerryClimbings – Piaras, as he guided and looked after Great Outdoors travel writer – Hanna Lindon on a traverse of the sensational and excitingly “airy” Coomloughra Horseshoe. 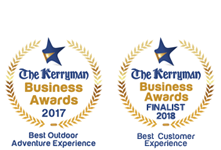 We are honoured to yet again showcase this most amazing of treks amongst these magnificent mountains and really cool to see this hugely popular and long renowned of outdoor publications – TGO – appreciating the majestic wild beauty of the breath-taking Reeks District of Kerry and sharing its delights with their readership. The awe-inspiring Coomloughra Horseshoe >> is an extremely challenging route of up to 7+ hrs and most definitely NOT to be underestimated but unfortunately quite often is!!! It is a far stiffer challenge in bad weather and requires a decent level of fitness gained from regular exercise/gym work. 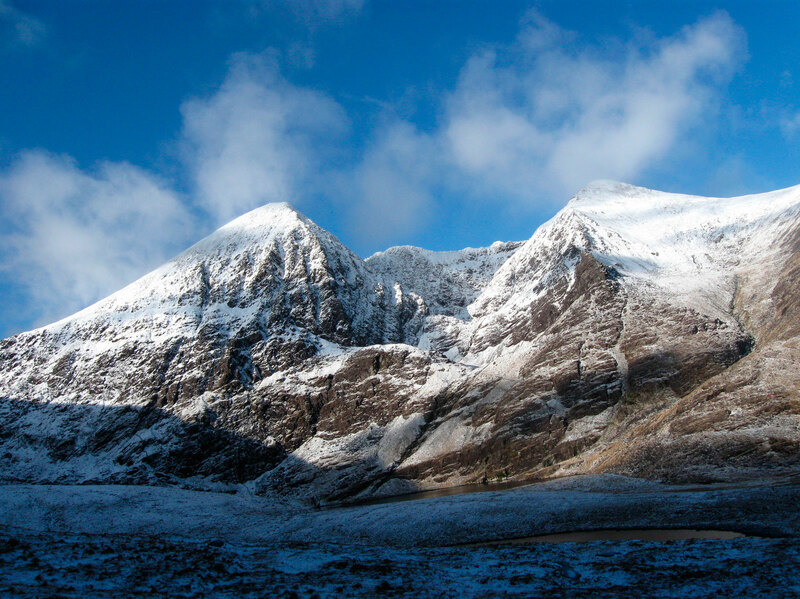 Arguably one of the finest walks in the country, this 12km trek takes in 3 of Ireland’s highest mountains, Corrán Tuathail 1039m, Binn Chaorach 1010m and Cathair 1001m. 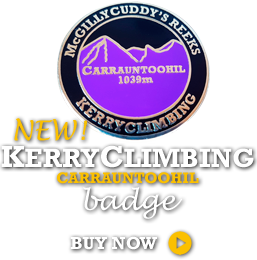 This trek truly incapsulates what the wonderful McGillycuddy’s Reeks has to offer in terms of breath-taking views and hard earned ever exciting challenges. 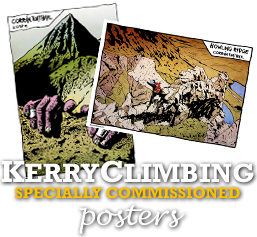 Being comfortable with heights, sheer drops and being prepared to use your hands is essential as this route involves scrambling over extremely steep rocky ground with no trails in potentially far from perfect weather conditions!! !